Fritz-Greve-Gymnasium Malchin and Projekthof Karnitz e. V.
The Earth is currently in a state of imbalance. Man’s impact on nature has changed the planet—researchers have coined the term “Anthropocene” to describe this phenomenon. The problems caused by man such as plastic in the oceans, polluted drinking water, and climate change are global. As a consequence, the United Nations has agreed on a set of 17 goals in order to restore the Earth’s balance in a joint effort with the member states. Taking these goals as their starting point, students of the 9th, 11th, and 12th grades posed the questions: How is the human geological age changing everyday life in schools? How can schools be sustainable? In answer to the challenges which the Anthropocene poses for education and schools the pupils developed research questions, concepts, and solutions together with teachers, mentors, and artists. How can energy be used more efficiently in the daily school routine? What would healthy school meals look like? And how can a school garden be financed? They designed a model for the prototype of a new school cafeteria and collected ideas for a mobility concept at the school which would do justice to the new relationships between nature and society. The Fritz-Greve-Gymnasium Malchin has been an environmental school since 2004 and was awarded the Allianz Environmental Foundation’s Environmental Prize in 2010. The Fritz-Greve-Gymnasium Malchin is simultaneously an International Agenda 21 School with three stars (2006-2015). The Projekthof Karnitz e.V. 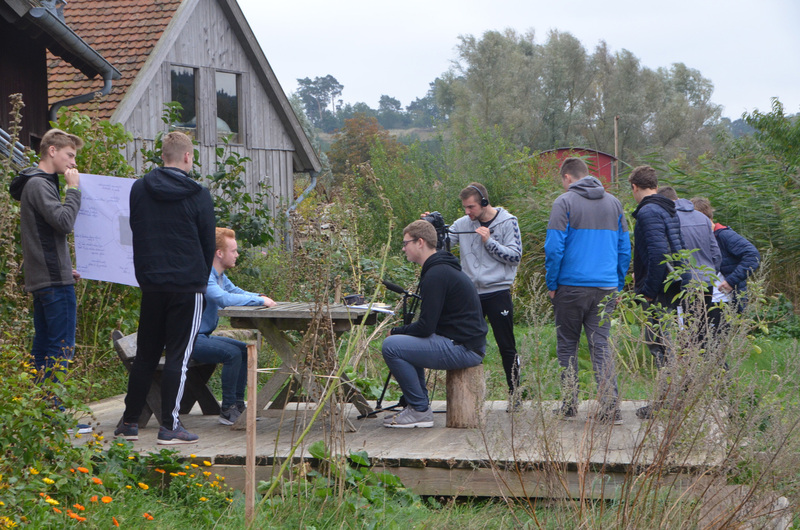 uses an old farmstead in Karnitz for student excursions and educational events and for work with children’s and young people’s groups within the framework of the UNESCO Global Action Programme (GAP) on Education for Sustainable Development (ESD) in Germany. It is composed of people who have experience in architecture and economics, in landscaping, the building of environmental and energy technology, who design learning projects, are trained in providing advice or organize self-help groups and festivities. They hold seminars, workshops, and work camps and cooperate closely with regional and national partners in order to realize their goals such as innovative technologies and products, the development of new forms of work, or the strengthening of regional production.